1. This line adopts linear design, it is convenient for observation, operating, testing and maintaining. 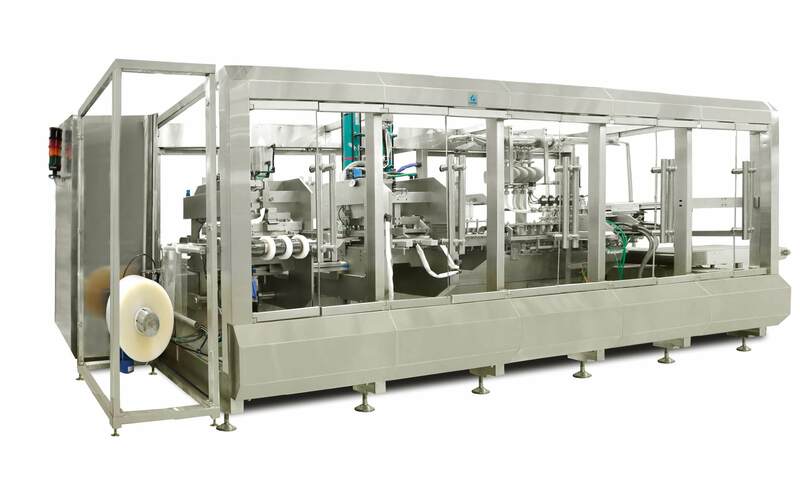 This line can complete the process of forming, filling and sealing, cross contamination is avoided, and it could meet GMP requirement. 2. It has broad range of applicability, suitable for 50ml-3000ml infusion soft bag production. Few size parts need to be replaced when changing specification. 3. It adopts the advanced PID temperature control, ensures the quality of bag sealing, and it is suitable for different kinds of packaging material. 4. It adopts design of no medium waste structure, which can fully utilize the film, and reduce production costs. 5. It adopts float joint to connect the printing air cylinder, bag forming cylinder, and other parts, which makes the air cylinder life longer, ensures long running stability. 6. Forming mould adopts special high quality material, and adopts special heat treatment and surface coating process, which can make mould temperature more uniform, guarantee bag forming quality, and the using life of mould longer than other similar product. 7. It adopts mass flowmeter, high sensitivity aseptic valve and high speed PLC control to realize filling. It has advanced filling method and accurate measurement. It has function of no-bag-no-filling and waste-bag-no-filling. CIP and SIP is easy to be realized on this line. 8. The port welding adopts the simple structure for positioning, ensures the welding consistency. 9. It adopts the rigid synchronous belt for transferring, with long lifespan, and it w]]not extend. This ensures the longtime running accuracy. 10. Most of the parts on the machine adopts servo control technology, it meet the requirement of high speed and high precision. The servo motor drives the filling head, cap sealing head and heating board directly, no need linear driver from the synchronous belt. It has simple structure and no need much maintenance to be done. 12. This line has following characteristics: tight structure, small area for purification, high production ability, good stability, very few easily wearing parts, and its maintenance cost is the least of the similar product.